Join a gay group trip and set out on a South African Safari. Discover the magic and mystery of the African bush with a group of like-minded travellers. You’ll set out on game drives in pursuit of the Big 5, try your hand at interactive African drumming and even visit a penguin colony. In Cape Town, you’ll ascend Table Mountain and discover the vibrant gay nightlife of De Waterkant. When you arrive at the airport you’ll be transferred to Rosebank in an air-conditioned coach. Once you’ve checked into the hotel you’re free to explore Rosebank. In the evening you’ll meet your fellow travellers over a welcome dinner. After breakfast, our gay African Safari adventure begins in Soweto, home of the late Nelson Mandela. We’ll visit the Mandela House Museum, Baragwanath Precinct and Hector Pieterson Museum. 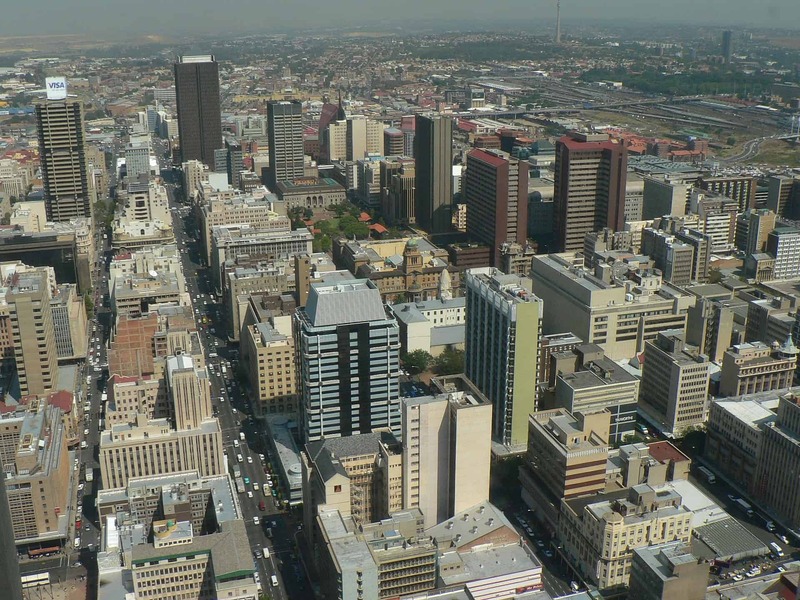 It’ll then be time to head to Johannesburg where we’ll have lunch at Joziburg Lane. This morning we’ll head to Ivory Tree Lodge in Pilansberg. We’ll have an Afrikaans lunch at Hartebeespoort Dam along the way. It’ll take just two hours to drive from the city of Johannesburg into the African bush. Our lodge is in the Pilanesberg Game Reserve, a volcanic marvel with profoundly ancient roots. You can visit Stone Age sites in the park. This morning we’ll set out on an early morning game drive. Keep an eye out for the “Big 5”, buffalo, leopard, lion, rhino and elephant. We’ll also have some downtime where you can engage in a number of activities. These include archery, quad biking and spa treatments. You could also relax by the pool. After our evening game drive we’ll dine at the lodge. Evening’s entertainment: interactive African drumming. After breakfast, we’ll return to Johannesburg and get a flight to Cape Town. We’ll check into our hotel in De Waterkant which is close to the famous V&A Waterfront. 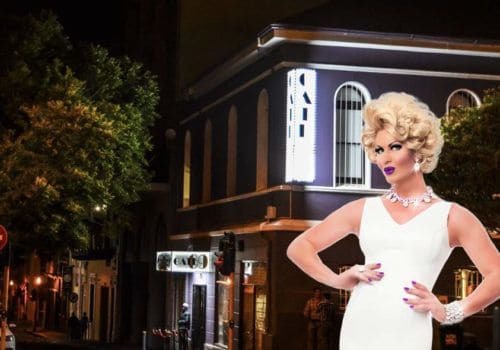 De Waterkant is Cape Town’s gay suburb and it has a lot of gay nightlife to explore. In the evening we’ll dine at a top restaurant in Cape Town. It’d be rude to travel to South Africa without trying the wine. So, today we’ll be heading to the Winelands for a spot of wine tasting. We’ll also visit quaint colonial towns as we sample South Africa’s finest. Evening at leisure in Cape Town. Today you’re free to explore Cape Town at your own pace. You could take a trip to Robben Island, stroll along the waterfront and explore the hipster vibes of De Waterkant. 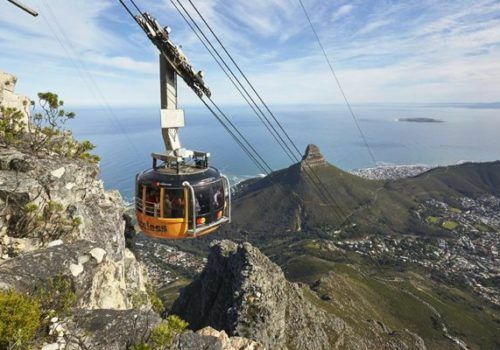 Today we’ll take a cable car up Table Mountain. When we reach the top you’ll be greeted with some of the best views in the world. If you’re up for a challenge you could even hike up the mountain – it’ll only take 90 minutes. In the evening we’ll dine in a top restaurant. On our last full day we’ll visit the Cape Peninsula. Here we’ll visit the penguins of Boulder Beach. The best viewing point is actually Foxy Beach. These penguins are beyond cute but don’t get too close – their beaks are very sharp. We’ll have a seafood lunch and return to Cape Town. Here we’ll have a farewell meal and maybe a drink or three in the local gay bars. After breakfast, it’ll be time to say goodbye to your travelling companions. You’ll then be transferred to the airport for your return flight.